Legendary professor of Columbia Law School, Hans Smit, ‘5 LL.B., was also a scholar and practitioner of international arbitration and procedures. He died on January 7, 2012, at the age of 84. Smit was born in Amsterdam, Netherlands, on August 13, 1927. Smit often told his fellow academics that his mother’s aspirations were for him to be a doctor, but that he chose law school instead mainly because law classes started later in the day. Smit earned both his LL.B. and LL.M. from the University of Amsterdam by 1949. Following graduation, he vacillated between two offices, one in New York City and the other in the Hague. He received the “Fulbright” scholarship in 1953. Later on that same year, he earned his master’s degree from Columbia and graduated first in his class with an LL.B. from the Columbia Law School. He then spent two years working as an aide for Sullivan & Cromwell. Later on, he would report that it was his wife’s encouragement that persuaded him to believe that he could handle being a law professor. He became a member of the faculty at his alma mater in 1960. Three years later, he developed the Columbia-Leiden-Amsterdam Summer Program, which allowed law students from around the world to travel to the Netherlands for an intensive month of training in American law. He led this program for 28 years at Columbia, where it was used as a way to recruit potential law students. The program was considered to be the best in international law and attracted many students who desired to study in the United States. 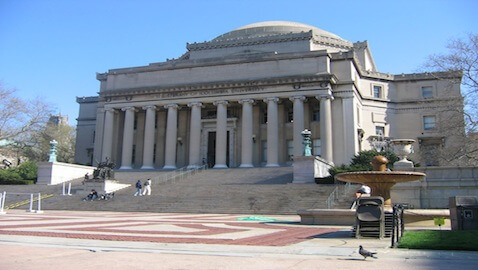 Smit further sealed Columbia’s reputation as the place to study international law when he organized the Project on European Legal Institutions with a grant from the Ford Foundation. From this project, The Law of the European Economic Community was born which was edited by Smit and Peter Herzog. The book was the first of its kind and eventually developed into a multi-volume tome on the subject of international law. Smit also was appointed as advisor to the U. S. delegation to the United Nations Commission on International Trade Law and consulted with the Judicial Conference of the State of New York. In 1978, Smith was appointed as the Stanley H. Fuld Chair at the Columbia Law School. He became known as a tough teacher and was able to engender both nervousness as well as love in his students. He was known to encourage his students to sleep with a copy of the Federal Rules of Civil Procedure under their pillows at night, but even after graduation his students continued to appreciate having been able to study under him. Smith is survived by his wife and two children.